The Wii U is dead. With only a handful of titles left in the 2015 roster for Nintendo, and with reports coming in that the NX may be releasing as early as summer of 2016, it’s pretty clear where Nintendo’s priorities lie. They are abandoning the Wii U and moving on to the NX, after just a few short years of being on the market. Sure, the higher ups at Nintendo claim that they aren’t abandoning Wii U support – even after the NX comes out. But they said the same thing about the Wii, didn’t they? Let’s face it: Nintendo haven’t experienced a failure of this magnitude since the Virtual Boy. So inquiring minds would like to know: what killed the Wii U? Miyamoto himself recently admitted that the Wii U’s primary feature – the touchscreen on the controller – was too little, too late. “Unfortunately the Wii system launched at a time where the uniqueness of [tablets] were perhaps not as strong as they were when we had first begun develop[ment]”, said the legendary Nintendo luminary. There are a huge number of tablet-like devices on the market that, by including tablet features to the Wii U’s controller, are placed in direct competition with the console. What’s more, the capabilities of say an iPad far exceed that of a Wii U controller. So the Wii U was released in an already over-saturated marketplace as a subpar product that has almost none of the features consumers want from a tablet device. If you take the Wii U controller more than ten to fifteen feet away from the system, it cannot even function. Some ‘tablet’ technology! In short: the tablet controller is a gimmick that people don’t want or need. Unlike the equally gimmicky Wii itself, which provided a unique novelty in its motion sensor tech, the Wii U has no competitive edge or unique feature to distinguish it from its competitors. 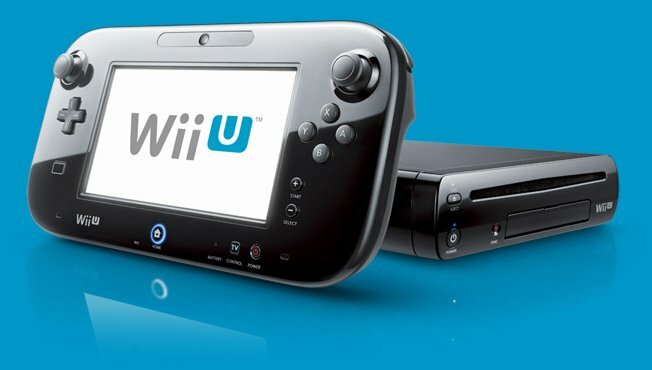 It was very early on in the Wii U’s lifespan that third party developers and publishers decided they wouldn’t be making games for the new Nintendo console. It’s just simply too expensive to port games for the Wii U, due to the huge differences between the system hierarchies and structures of say, the XBox and the Wii U. And according to this recent article, it seems the NX is unlikely to see much third party support itself. Nintendo have always tried to maintain a certain standard for their proprietary games. This is good in many respects: but the unintended downside is that, once third party support goes away, the number of releases for the Nintendo console slow to a trickle. Nintendo can’t keep up with the PS4 or the XBone if they continue to either a) design difficult to port consoles or b) release games so very slowly. Third party support is important, because many console gamers only want to own one console (due to the obvious expense of buying more than one). Releasing a Mario Kart/Smash Bros machine without an option for third party support may have not been the smartest financial decision. The 3DS is an incredible handheld console – so great, in fact, that it completely overshadows its big brother. The 3DS is extremely popular in the US, Europe, and Asia – which turned out to be a curse in disguise, at least for the fate of the Wii U. One of the Wii U’s biggest sellers, Smash Bros, is available for both systems. Many of the virtual console games are, as well. Considering you only miss out on one or two big name titles, who wouldn’t take the 3DS over the Wii U any day – considering it’s around $100 cheaper? Also, as I mentioned before, Nintendo have overburdened themselves by having to be the sole developer for both 3DS and Wii U games. This has just exacerbated the issue of their being too few games for the Wii U. When the new Metroid spinoff was unveiled, a huge majority of Nintendo fans were furious. But the rage this boneheaded move incurred was only so fervent due to the lack of flagship Nintendo games for Wii U. The Wii U was in desperate need of some proprietary ‘killer app’ games; new banner titles in any of the Nintendo franchises we all love. What we got instead were a handful of spin-offs, remakes, and novelty games with beloved series titles slapped on to cynically shift units. With Star Fox: Zero looking empty, graphically unimpressive, and boring, that only leaves the much heralded Zelda title to keep Nintendo fans interested in the console…and it was recently announced that the game that was once called Zelda: Wii U will now – much like Twilight Princess before it – be cross-console with the NX. Who would buy the Wii U version when the NX version will likely be graphically superior? Once again, Nintendo has made a decision that cripples the potential for the Wii U to build up steam. Spin-offs and novelty titles aren’t what gamers want from Nintendo! Hyrule Warriors was a decent game, don’t get me wrong – as was Captain Toad: Treasure Tracker. And Mario Maker also looks like it’ll be a hoot and a half. But none of these games, despite their titles and characters, are true Wii U versions of their respective franchises. The only game released for the Wii U featuring a big Nintendo franchise name that felt like a true, flagship game, was Super Mario 3D World. One game, released in 2013. That’s the extent of the Wii U’s library of big Nintendo-made games, unless you count Smash Bros which itself is – despite being amazingly fun and jam packed with content – is arguably little more than a spin-off. For my money, this was the biggest blunder in a long list of mistakes made by Nintendo. Why are there so few quality Virtual Console games for the Wii U? One of the biggest things Nintendo has going for it is its long history of classic titles. Why are they being so stingy with porting them for their first HD console? Maybe they’re planning to ‘remaster’ every single one of their classic Nintendo 64, Gamecube, and SNES games for a cheap profit sometime soon. I hope to God that isn’t the case. Sure, we got a handful of ports. Super Mario 64, Donkey Kong 64, and even Super Metroid. In the SNES department, we were also glad to get a chance to revisit Mega Man, Street Fighter, and Donkey Kong Country. But the SNES had one of the best libraries of any console – especially in the RPG department. Where in the hell is Final Fantasy VI? Or Chrono Trigger? Or Star Ocean, Breath of Fire, Paladin’s Quest, etc? Or, moving away from Square/Enix games or RPGs, why are there only 5 N64 games available? Or, for that matter, zero Gamecube games available? I’d bet that if the Wii U had featured a more robust back catalogue of classic titles that were upscaled for HD TVs, the console would have been much more popular. Sure, if you’re tech savvy enough you can mod the Wii U to do just that. But for those of us not so technologically inclined, why aren’t there more classic Nintendo games to play on their fancy ‘new’ console? It just doesn’t make sense. There you have it – 5 reasons why I think the Wii U failed horribly. If you think of any more reasons, be sure to let us know in the comments.